The DCS-910 can remotely monitor your home or office over the Internet. MJPEG video for recording and monitoring.1.0 lux light sensitivity allows you to capture video in rooms with minimal lighting. Remotely monitor your home of office over the Internet. 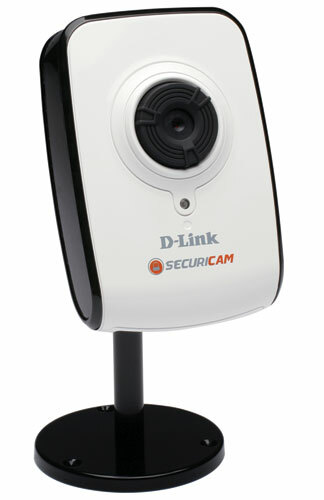 Includes D-ViewCam 2.0 for multi-camera monitoring and management. Motion detection to trigger recording and send e-mail alerts (Supported by D-ViewCam). UPnP support for network setup and configuration. 1.0 lux CMOS sensor for low light environments . MJPEG streaming for high quality video. The DCS-910 is a versatile and unique surveillance solution for your home or small office. 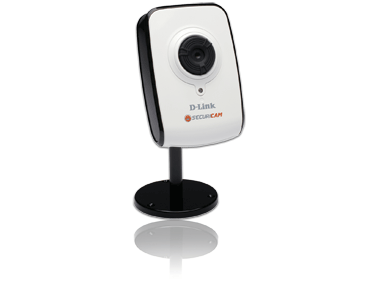 Unlike a standard webcam, the DCS-910 is a complete system with a built-in CPU and web server that transmits high quality video images for security and surveillance. The DCS-910 can be accessed remotely and controlled from any PC or notebook over the local network or through the Internet via a web browser. The simple installation and intuitive web-based interface offer easy integration with your Ethernet/Fast Ethernet or 802.11g wireless network. The DCS-910/920 also comes with remote monitoring and motion detection features for a complete and cost-effective home security solution.